We are leading manufacturer of protein, super protein and a synthetic based foaming agent for cellular lightweight concrete(CLC). The foaming agent is such chemical which is highly used in the field of construction for making bricks which are simply made up with the proper amount of cement, fly ash and foaming agent finely mix with water in particular compressed air. What makes these bricks which are made with foaming agents different from other bricks due to some specific qualities such as it is very eco-friendly have very lightweight so due to this it is easy for transporting it also have the soundproof quality which makes it different from other bricks. This agent produces almost no fumes of toxic or any emission over the lifetime. We are leading manufacturer of protein, super protein and the synthetic based foaming agent for cellular lightweight concrete(CLC). Usage of chemicals becomes common in the field of construction and foaming agents have an important and major role in this industry. With expertise foaming agent solutions it becomes useful for all kind of concrete products. Concrete foaming agent is excellent for the manufacturing of light weighted concrete blocks or bricks. 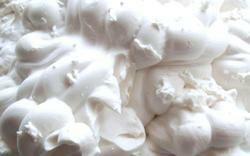 The chemical is completely based on protein and also it has synthetic agents of foaming. The product has some very effective results such as it is such kind of material which is highly mobile, it reduces the density, it entrains up to 30 – 35 % of air and it increases the product yield under this particular category. We are leading manufacturer of protein, super protein and the synthetic based foaming agent for cellular lightweight concrete(CLC). Popularly and most commonly lightweight blocks are made up with the help of foaming agents also this chemical is very useful for almost all the concrete products. CLC foaming agent concentrated with active components of enzymatic which is used to develop CLC for the sector of construction. 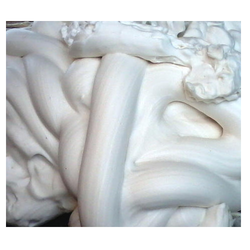 The process of making foam is followed by multiple hydrolyzes at different parameters. Some basic details about the product: It is natural and hydrolyzation based, high stability foam, does not produce any kind of emission. If stored as per instructions were written on the label its self-life will be minimum of 2 years. We are leading manufacturer of protein, super protein and the synthetic based foaming agent for cellular lightweight concrete(CLC). Forming agents are such chemicals which are highly used for making light weighted bricks popularly known as CLC bricks. When protein based foaming agent mixed in concrete with some active components of enzymatic it is developed for light weighted concrete in the sector of concrete. 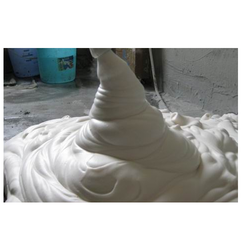 Making of foaming agent include multiple hydrolyzes at different parameters which are completely controlled warrants with the very high stability of foam which is withstand manifold force occurred when (pumpable) conveying, casting, mixing and during the process of drying. This chemical causes no chemical reaction in concrete it serves merely in the form of wrapping material for trapped air. We are leading manufacturer of protein, super protein and a synthetic based foaming agent for cellular lightweight concrete(CLC). Cellular concrete has excellent potential for which it is used in structural light-weight applications but the type of foaming agent which is used in concrete effects in a huge way. It has been observed that type of foaming agent effect mechanical properties and thermal resistance of concrete. The synthetic foaming agent is usually used to make cellular lightweight concrete which is suitable for all kind of concrete products and especially for concrete blocks. 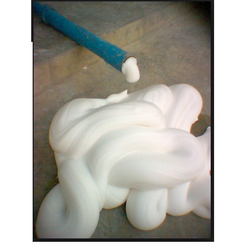 Synthetic foaming agents have some highlighted qualities such as It is easy to the mobile material, it can reduce the density and it entrains air approx. 30-35 %. We are leading manufacturer of protein, super protein and a synthetic based foaming agent for cellular lightweight concrete(CLC). Protein-based foaming agents for CLC are used for light weighted blocks or bricks or for the foam concrete blocks or bricks its density is 80 – 90 grams. Foam is generated through foaming agents while it gets mixed with air and water then it is directly added to the slurry of cement and blends it in the blender just to form the fine dispersion. It is very safe for use and causes no effects on human. The product is suitable for use with sea water and fresh water both. It is compatible with air aspirating and standard proportioning. This is basically used for making bricks which are lightly weighted, panels of walls and insulation of roof etc. 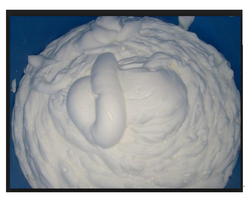 Looking for Foaming Agent ?